Caminos de Agua believes that access to safe, healthy drinking water should be a fundamental human right. This is a massive global public health challenge. The Caminos de Agua mission is to provide open-source solutions for communities at-risk on our aquifer in Central Mexico, and leverage those solutions for others confronting similar water challenges throughout the world. Our ceramic filter has helped provide safe drinking water to thousands in our region and beyond through dozens of partner organizations throughout the country. Recent improvements are making our filters even more versatile for wider adoption by water NGOs and for emergency relief throughout Latin America. Affordably removing arsenic and fluoride is our most daunting technology undertaking. This is a locally acute, globally distributed, public health challenge that impacts 10s of thousands on our aquifer alone, and 100s of millions around the world. We've made excellent progress and are installing our first pilot systems in June/July 2018. Our rainwater harvesting program supports community processes and leverages volunteer labor. We have helped build hundreds of rainwater cisterns, and are poised to build thousands more. Rainwater gives users control and consistency over their water source, improves community health, and reduces environmental stress on aquifers. Safe water is free of pathogens. Waterborne disease reduces productivity and is a leading cause of child mortality – every 90 seconds a child dies due to water-related disease. Fortunately, pathogens are easily and inexpensively eliminated by disinfecting or filtering. A $1 investment in safe water and sanitation has a $4 economic return and a $5 return on public health. We no longer have the luxury to worry solely about “safe” water. Today, water that is pathogen-free may contain agrochemicals or dissolved heavy metals and minerals like arsenic and fluoride that easily pass through ordinary filters. Arsenic and fluoride contamination is a locally acute, but globally distributed, public health problem – affecting upwards of 300 million around the world. What happens when the well runs dry? This is a stark reality for many on our aquifer. As the water table drops, community wells are drying up and many are quite literally collapsing in on themselves — leaving entire villages without water access. Worldwide, 3.6billion people – or roughly half the global population – live in water scarcity conditions, largely due to depleting groundwater supplies. 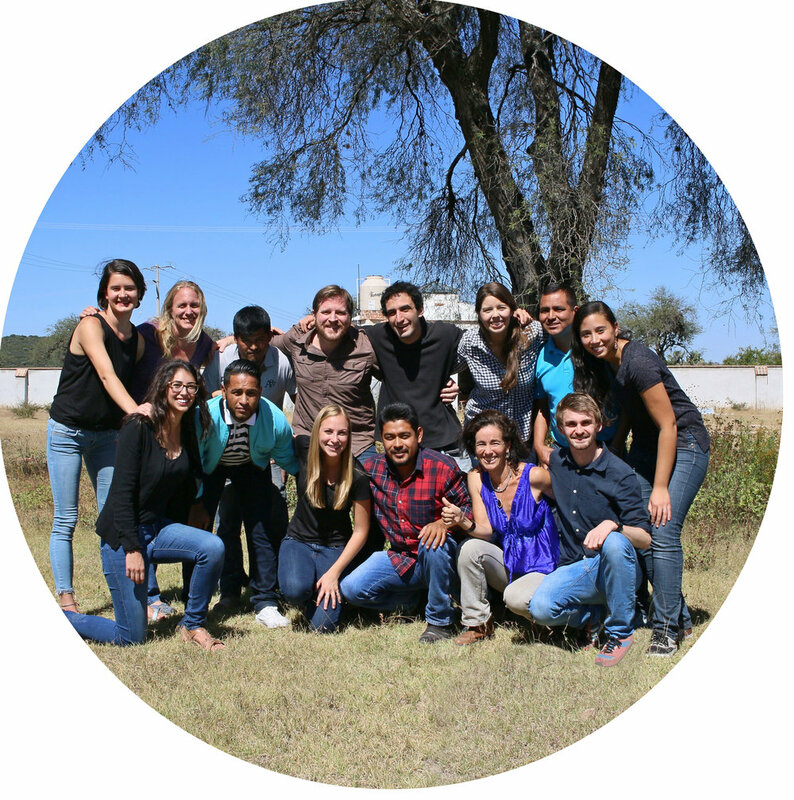 Caminos de Agua is a team of 14 full- and part-time employees plus several graduate-level engineering and public interest interns from local and global institutions. We’re a mix of immigrant residents and Mexicans, technologists and community organizers, researchers and educators—united by our concern for public health and welfare. Read More. We work with local communities and partner with leading research and academic institutions globally at the cutting edge of water quality issues.